Is now the time to go to Europe? Many experts say yes — and offer up some suggestions on some adventures you may want to try while you are there. A new report in National Geographic highlights how to take advantage of Europe’s uncertain financial future and an exchange rate that is extremely favorable to U.S. visitors at the moment. 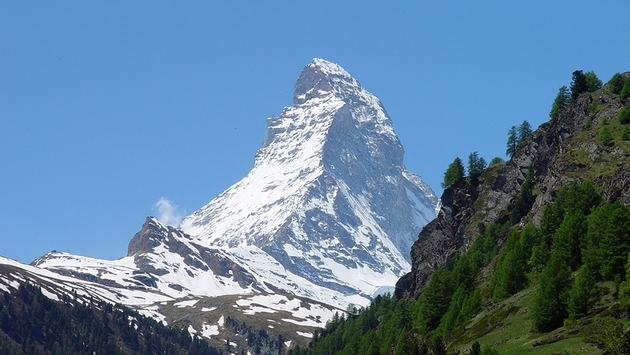 The first suggestion is to head to Switzerland and climb one of its most famous peaks — the Matterhorn. “More than 3,000 people a year summit the peak, primarily in the months of July, August, and September, making this one of the most popular big Alpine climbs in Europe. Aside from the Matterhorn’s unparalleled beauty, part of the peak’s appeal is its accessibility—it’s an overnight jaunt that starts and ends in Zermatt,” writes Kelley McMillan. You could also travel through France like you are on the Tour de France in La Grave. “The 12th-century village of La Grave sits within striking distance of some of the Tour de France’s most imposing climbs—Alpe d’Huez, Col du Galibier, and the Col d’Izoard—making it the perfect base camp to explore the Alps’ best road rides,” says McMillan. A more laidback adventure could include hiking in Corsica. “Crisscrossing the island is a network of hiking trails, the most famous of which is the GR 20, considered one of Europe’s finest, and most difficult, footpaths,” says McMillan. You can also take to the sea and do some surfing in Portugal. “Tucked into a sun-drenched corner of Portugal’s Alentejo region lies the village of Comporta, a surfer’s dream. Consistent waves lap 30 miles of empty beaches; a string of unspoiled villages dot the coastline; and a patchwork of vineyards, rice fields, and pine forests make up the interior—all of this stashed about an hour south of Lisbon in a quiet stretch of southwest Portugal that’s been mostly forgotten by time,” suggests McMillan. For more adventurous suggestions around Europe and for more details about these destinations, read on here.